…it can feel like you were thrown into a hole you have no hope of climbing out of. For many of the children and teenagers we meet in Iraq and Syria, that is how they feel when we first connect—hopeless to change their story. But they don’t stay there. “For the children here inside the camp, they feel that they are isolated from the world. So we thought we would take them out of this space, to another place, to practice things.” Thuraya has the vision to see that isolation has nothing to do with geography. Isolation is something that happens in our head and heart, when we are no longer able to connect to the world around us. For many children living in refugee camps, only a significant, positive disruption to their daily routine can help break down isolation. For these teenagers, you created that disruption—you helped them learn how to climb. If you stand inside the refugee camp, and look east through the chain link fence and razor wire, the view is a tall range of mountains that stretches as far as the eye can see. There’s no question, it’s a beautiful view. But for those who lost so much because of war, the mountains are also a constant reminder of how far they have to climb just to get back to a level playing field. 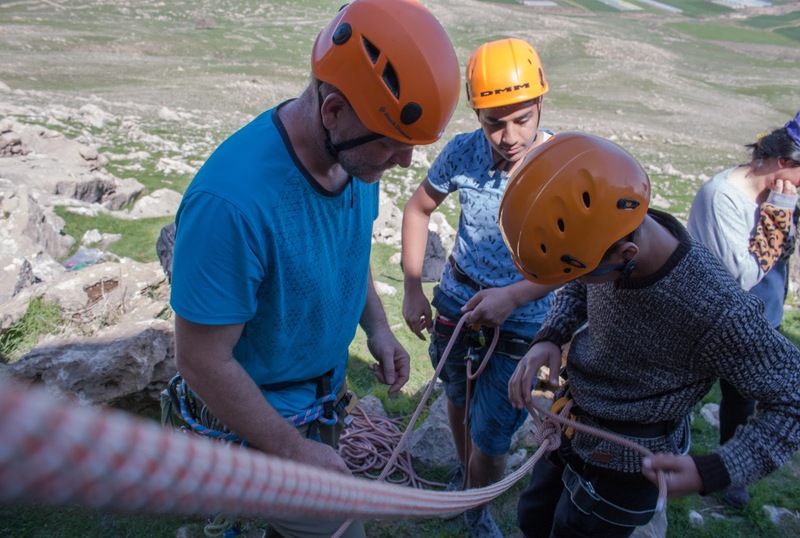 Climbing lessons close to the ground gave these kids the chance to develop skills, get out some energy, reconnect to active bodies, and to trust themselves and each other—normal activities when you don’t live in a refugee camp. The lessons also gave them a safe space to express their emotions, bottled up too long. “It’s something that makes them just bring out what they feel during the climbing,” Thuraya explained. 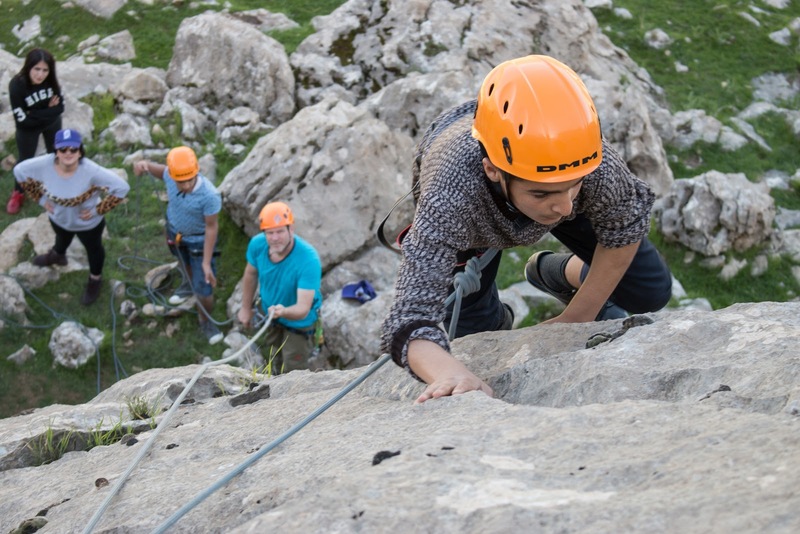 Teens completed a series of classes about ropes and harnesses, taught by a professional climber. 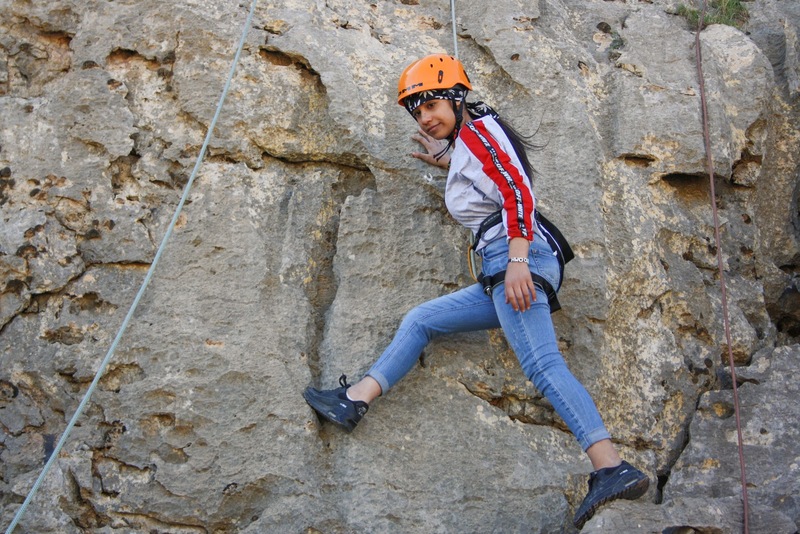 After, if they were able to prove their ability to handle the challenge safely, they had the chance to use their skills on a real rock face. The results were everything we hoped for! Their lives are no longer defined by what they suffered, who they lost, and where they fled. Their lives are no longer defined by their refugee status, or the fence around their camp. For these teens, from here on out they will always know they can trust themselves, and can build trust with those around them. They now know that with patience, even the steepest slope provides a way up. And they know, because they’ve already done it, that they can learn to climb whatever hurdle is in front of them. 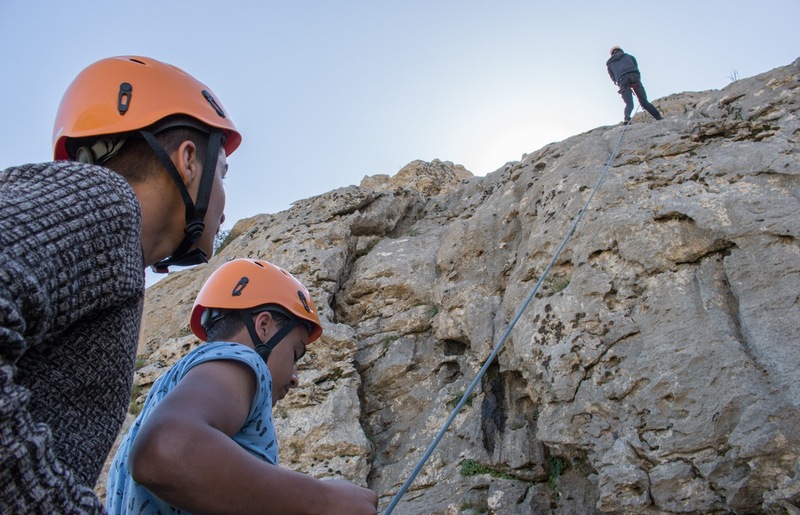 Whether it’s a game of basketball, after-school tutoring for English class, or even a once-in-a-lifetime chance to climb, give today to disrupt these teens’ lives in the best way possible. Redefine life for refugee kids. Give now.